Extension approved in contradiction to Council’s plans? 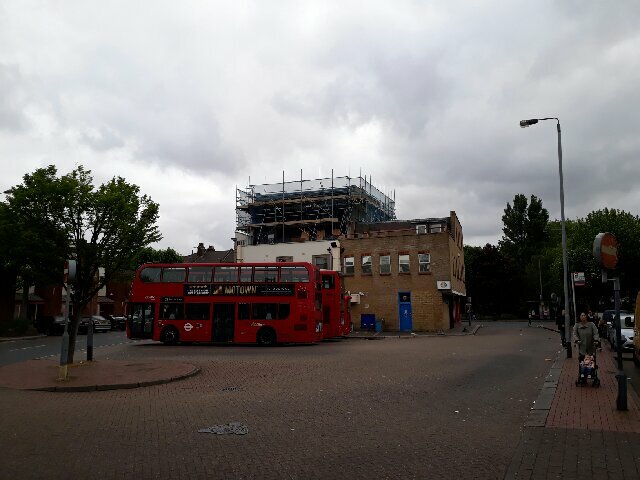 A construction of a mansard roof extension is under-way on top of the Peacock pub near Clapham Junction Station/Grant Road (146-148 Falcon Road, SW11 2LW – p.a. 2015/7628). This should enable the creation of two new 2 bedroom 4 person flats. An additional application 2017/0556 for the change of use from 4 flats to 4 serviced apartments was refused at the beginning of April 2017. This development is located on the edge of the Bramlands site were the Council has planned a cluster of towers as part of the Winstanley and York estate redevelopment. Was the officer not aware of other Council’s plans? 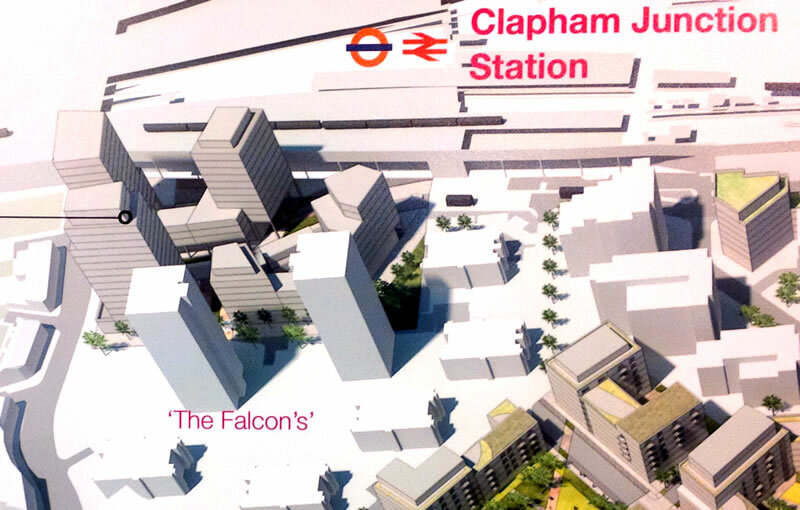 Or did they consider that, while everything is delayed by possibly 10-20 years following Network Rail plans for the Crossrail 2 extension, the development is perfectly suitable in the meantime? In any case, there is not a word in the officer’s report to Winstanley and York estate redevelopment plans (however as the proposal site is located within the safeguarding limits and area of surface interest of Cross Rail 2, Network rail was consulted and did not object).